The Budget. What if our prime minister gave a really good speech? Below the fold is the heart of a truely excellent speech. Gillard and Swan have tried everything else. Now they’re trying honesty. A year ago they locked in permanent increases in payments to families and Australians on welfare worth $1 billion per year to be funded by “spreading the benefits of the boom”. They made no mention of the possibility that the boom wouldn’t last, whereas the extra payments would continue for ever. The legislated increase in lightly-taxed superannuation contributions starting in July will cost the government a fortune by the time it is complete at the end of the decade. It was to be funded by a mining tax, one leading economist Ross Garnaut said Monday was deeply flawed and might never raise much money. The National Disability Insurance Scheme eventually set to cost $6 billion per year was approved with not a whisper how it would be paid for. As revenue began to fall well short of the forecasts in October the government fudged things, producing a budget update that attempted to make up the shortfall by one-offs such as making some quarterly company tax payments monthly and hoovering up earlier money in unclaimed bank accounts. All the while its official line was nothing much was wrong. The budget was still on track for a surplus. Until December when Swan admitted the jig was up and told the truth about the futility of cutting for cutting’s sake, merely in order to announce a surplus (a view endorsed in the past fortnight by his shadow Joe Hockey). Now the prime minister has laid bare the whole truth. The easy days of Mining Boom Mark I are over and will not return. Company tax reached “an astonishing 5.3 per cent of gross domestic product” in the final year of the Howard government. It is now 4.5 per cent. Capital gains tax was 1.5 per cent. It is now 0.4 per cent. Normally low inflation might be welcome, but right now it is hurting profits, weighing on investment plans and weighing down the company tax take. Normally strong overseas confidence in Australia would be welcome, but right now it is keeping the dollar high and further denting company profits and investment plans. The prime minister has levelled with us. She hasn’t said what she is going to do. The back drop to our Budget decision making – Australia’s resilience, global weakness, a persistently high dollar – have been known for some time. What is new is how strong the revenue pressures on the nation’s Budget are. We must plan for these strengthening pressures – and that is a key part of preparing our Budget for this year. The persistent high dollar, as well as squeezing exporting jobs, also squeezes the profits of exporting firms: with lower profits for these companies comes lower company tax going to Government. We can’t assume this will change soon. The high dollar is also placing competitive pressures on firms here, who face new pressures from cheaper imports – holding down prices across the board, with the high dollar making it hard for these firms to pass on price increases, holding down profits – and in turn holding down company tax. Consumers do benefit, but many businesses are doing it tough. All this means the data on our economy now reveals a significant new fact. This is the striking and continuing divergence between what economists refer to as real GDP growth and nominal GDP growth. My best shorthand description of those terms is this. Real GDP growth is growth in the volume of the economy. The actual activity in the economy, how many jobs there are, the quantity of infrastructure we build, the amount of goods and services we export – how many tonnes of coal, how many international students pay for a course here, how many houses are built. Nominal GDP growth counts this growth in volume and it also counts growth of the prices of all these things. Today, real GDP is growing solidly – we’re creating more jobs, exporting more goods and services and buying and selling more from each other, just as we planned. However prices are growing at a slower rate than is usual for this stage of the economic cycle, a slower rate than was forecast – and so nominal GDP growth for this current year is significantly slower than was forecast and we expect nominal GDP growth for future years to be revised down. The current data shows nominal GDP growth after the first half of the 2012-13 year was an annual rate of two per cent. At Budget last year, we had forecast nominal GDP to grow at five per cent. While the prices of our exports continue to be lower than their recent peaks because of weak global demand and increasing global supply, the prices of imports are now lower than forecast because of the strength of our dollar. 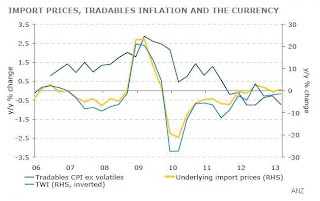 The prices of goods produced at home are also lower than forecast because competition from imports is so fierce. This is now putting so much downward pressure on prices that growth in nominal GDP is actually lower than growth in real GDP. What’s more, this has now been true for nearly an entire financial year – since the beginning of the June quarter last year. This has never happened for such a long period in the whole half a century and more of the National Accounts. Not during the global financial crisis, not during the 1991 or 1982 recessions. Not even during the Menzies “credit squeeze” of 1961, which was effectively a deliberate policy attempt to slow price growth, do we find a similar effect. Now, that’s a long explanation of a pretty technical fact. But for the Budget bottom line, it’s a very meaningful fact – because, naturally enough, companies don’t pay tax on volume, they pay tax on value, which is driven by price. The Pharaoh might have kept one fifth part of the grain from the field but the Tax Commissioner collects in dollars and cents. So even if the economy is growing as much as expected, when prices are growing much less than expected, tax grows much less too. The “bottom line for the Budget bottom line” is this: the amount of tax revenue the Government has collected so far this financial year is already $7.5 billion less than was forecast last October. Treasury now estimates that this reduction will increase to around $12 billion by the end of the financial year. This unusually low revenue, which wasn’t forecast even a few months ago, creates a significant fiscal gap over the Budget period. Put simply, spending is controlled but the amount of tax money coming to the government is growing much slower than expected. Inevitably, confronted with the facts, the economic simpletons and sloganeers will squirm and throw in arguments to distract. First, you will be told that revenue for the next financial year is still expected to be more than this financial year. That’s true – at the same time our population will be larger, more people will be on the age pension, health costs will continue to rise. Indeed the growth in health and in the age pension will be far higher than the growth in tax money. So revenue growth will be less than natural growth in key areas of expenditure and is spectacularly lower than reasonably predicted. It is the failure of growth in tax money to match reasonable predictions that creates the Budget challenge. Second, you will be told it isn’t about less tax money in but about spending. However... of the advanced Western economies, only Switzerland spends a smaller share of its economy on government than does Australia. The total size of government here is less than the US, less than the UK. Not as measured in revenue either, measured in spending. And let me reiterate, for the future we will continue to match new spending in the Budget with savings. Given all this, tax money down, spending controlled, the question for Budget planners is difficult to answer, but simple to state: how, and how fast, to fill that significant fiscal gap? Australia will not go back to the extraordinary revenue peaks of “mining boom mark I” from 2002-03 to 2007-08. While we should expect revenue to improve as we move to the production and export phase of the current mining boom, it’s clear that the extraordinary revenue peaks of the mid-2000s won't be repeated. The overall story: by 2005-06 the share of the economy taken in tax reached a peak of 24.2 per cent – compared to 22.4 in 1996 and 22.2 as we reported in our last update in October. The huge profits of that time meant that company tax revenue reached an astonishing 5.3 per cent of GDP in 2006-07 compared to a share of 4.5 per cent of GDP last financial year – a fall of around $10 billion in company tax a year. Capital gains tax was 1.5 per cent of GDP in 2006-07 – last financial year it was 0.4 per cent. We collect less than one-third of the amount compared to seven years ago and in dollar terms the drop in tax collection is around $15 billion a year. Quite apart from any other factor, remaining competitive in the contemporary global economy doesn’t allow us simply to turn back time on tax collection by dialling up tax revenue to these levels. It’s been an appalling fortnight for peddlers of austerity. Bit by bit the weight of Australian and international opinion has shifted away from surplus towards deficit, away from repayment towards debt and away from containing inflation to rekindling it. Australia contribution was startling. As recently as December opposition leader Tony Abbott was promising surpluses “in each year of the first term of a Coalition government,” although he qualified the promise by saying it was “based on the published figures”. Last week he declared “all bets are off”. "We were confident that we could deliver a surplus based on what the government was telling us until just before Christmas," he said. "But all bets are off given that the Government won't tell us what the deficit will be." His treasury spokesman Joe Hockey fleshed things out. Enforced austerity at a time when the economy was fragile could send things pear-shaped. “The challenge will be how to get the settings right to bring the budget back to surplus, to start to pay down some of the government debt - whilst at the same time not constraining what I think will be a sense of optimism and hope if there is a change of government,” he said in further remarks not previously reported. The Coalition’s new caution about a swift return to surplus, coming months after the government’s embrace of caution, means there is now no mainstream political party promising to quickly end the deficits, or to quickly pay down the government debt they will pile up. In January Hockey was committed to a surplus “to the core of my bones”. Events since have chilled those bones. The Reserve Bank is worried there simply isn’t enough happening in the economy to take the place of mining investment as it turns down. The December quarter national accounts released in March showed machinery and equipment investment down 2.5 per cent. Hours worked slipped 0.1 per cent. Household spending climbed just 0.2 per cent. The consumer price figures released Wednesday put March quarter seasonally-adjusted inflation at just 0.1 per cent. Businesses are having to discount to get Australians to spend. (Woolworths cut average prices 2.5 per cent in the quarter). The discounting is squeezing their profits and providing little reason to invest, at exactly the time the economy needs non-mining investment. Internationally renowned economists Carmen Reinhart and Kenneth Rogoff became disciples of the austerity movement in 2010 when they published a provocative paper entitled “Growth in the Time of Debt”. They claimed to have discovered a tipping point. Government debt didn’t seem to do much harm until it reached 90 per cent of gross domestic product. But from that point economic growth crumbled. Mitt Romney’s vice presidential running mate deployed their finding in campaigns. In Britain an advisor to David Cameron used it to back spending cuts which as it happened pushed the UK into recession. In mainland Europe it prodded already weak economies to cut spending further. At the University of Massachusetts a graduate student had been having trouble with his homework. Thomas Herndon had been trying to replicate Reinhart and Rogoff’s findings. Eventually they gave him their spreadsheet and showed him how to use it. When he did he found glaring - almost inconceivable - errors. In attempting to average 20 cells on their Excel spreadsheet they had only highlighted 15, leaving out the first five in the alphabet - Australia, Austria, Belgium, Canada and Denmark. And there was more. When he and his teachers recalculated the spreadsheet the tipping point disappeared. All that remained was a mild negative correlation between government debt and growth, one more likely to be the result of weak growth pushing up the debt ratio than other way around. A laughing stock on US television all week and mocked more seriously by US economist Paul Krugman as the “coding error that destroyed the economies of the Western world,” the findings had carried weight in Australia. Just this week the Grattan Institute cited them in support of the proposition that high debt could slow economic growth “for a long time”. Austerity for austerity’s sake is suddenly unfashionable. The Grattan Institute’s talk of a decade of deficits has become more of a forecast rather than a warning. The Reserve Bank meets in ten days time, a week before the budget. It is increasingly concerned about the economy and it’s in no mood for austerity.
. Debt free. Got any other ideas to stifle growth?
. Did a coding error basically destroy the economies of the Western world? So low has Australia’s rate of inflation fallen that the Treasurer is worried and the Reserve Bank is rethinking the economic outlook. Australia’s quarterly rate came in at just 0.4 per cent in the March quarter. In the six months to March following the one-off jolt to prices from the introduction of the carbon tax, prices climbed just 0.6 per cent. Annualised, the six-month inflation rate is just 1.2 per cent. The only substantial price increases in the March quarter were usual jump in recorded pharmaceutical prices after each December’s expiry of the Medicare Safety Net and the January increase in school fees. Even those increases were well below those of the year before, pushing the Bureau of Statistics’ calculation of Australia’s seasonally adjusted inflation rate down to just 0.1 per cent. Mr Swan said said Australia was probably in the grip of deflation. “This sustained hit to revenues means we're going to have to make some difficult and tough decisions in this year's Budget, but Labor's choice will be to support jobs. “Theoretically, tradable deflation can only continue if the Aussie dollar keeps on rising,” said Commonwealth Bank senior economist Michael Workman. 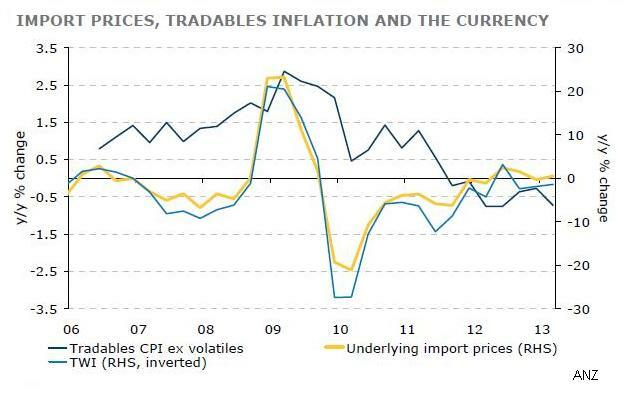 “But while the Aussie dollar did not appreciate significantly over the first quarter tradables deflation continued. It seems like the effects of a high currency are being drawn out, international exporters are discounting their prices and as a result domestic retailers are discounting their stock more than usual." Sales figures for Woolworths show its average food and liquor prices slipped 2.5 per cent in the March quarter after sliding 2.8 per cent in the December quarter. Coles prices fell 1.3 per cent. The Reserve Bank sees the lower-than-expected inflation as a sign that retailers are cutting prices in order to keep consumers spending. The Bank is updating its view of the economy in the wake of the figures and will present a somewhat more downbeat view to its board at its May meeting to be held one week before the budget. Futures trading lifted the likelihood of a rate cut at the May meeting from 31 per cent to 44 per cent. If only judges thought about economics. Rio Tinto lashed out at the NSW Land and Environment court last Monday after it overturned a government decision to approve a massive expansion of its Warkworth open cut coal mine in the Hunter Valley. The decision was “significantly obstructing investment and job creation in New South Wales,” the mining giant thundered. It was “a blow to our plans for the Mount Thorley Warkworth mine and the jobs of the 1300 people who work there”. If only the judge had thought about the impact on jobs. As it happened the judge spent a good deal of time considering the impact on jobs, especially Rio’s far-fetched claim that its plan would have created an extra 44,600 jobs. What he found will send shockwaves through the ranks of economic consultants. It will never again be safe to come up with a big number for jobs created (“direct and indirect”) expecting the decision maker to give it a tick because it is the outcome of an economic model. The Treasury has been on to the scam for a long time. In an economy near full employment you can’t create extra highly skilled jobs. Rio Tinto used what is known as an input-output model to argue that if it spent more at its mine in the Hunter more jobs would be created elsewhere in the Hunter. That’s the sort of thing an input-output model is likely to conclude. Mining’s links to some industries (such transport) are strong, its links to others (such as communications)are weak. The model assigns each link a ‘multiplier’ and - voila! - out comes a disturbingly precise estimate of the total number of jobs created. Rio said expanding its mine would create an extra 44,675 jobs, where each is defined as full-time and lasting for one year. The study conducted for Rio by Andrew Searles of The Hunter Valley Research Foundation was a good example of a well-constructed input-output study (although the data he used was more than a decade old). The main problem with it is that is was an input-output study. As with all such studies it assumed there were unemployed resources on tap, ready to meet the firm’s needs. Indeed the mining industry itself had been warning of chronic shortages and bidding up wages to grab workers from other industries. Counting as jobs created the jobs workers went to without counting as jobs destroyed the jobs they went from was double counting. “What would happen if every industry were to commission a consultant to write the same report for them,” Dr Denniss asked rhetorically. “If every industry were to go and try and estimate the indirect jobs that flowed because of their industry’s existence, what you find is that Australia would employ around 200 per cent of its current workforce,” he replied using calculations from Bureau of Statistics input-output tables. Dr Searles said he thought there was enough skilled unemployed labour in the region to meet the needs of the expanded mine and that the unemployment rate might climb in the future. The court was told the rate for Singleton Council was 1.1 per cent. Dr Dennis extolled the virtues of computable general equilibrium model which takes skill shortages into account. Dr Searles said he had never used one. It wasn't Rio’s finest day in court, but it would be wrong for it to claim the judge didn’t seriously consider its claims about jobs. Australia faces a decade of budget deficits with the annual total set to pass $60 billion in 2023 unless governments take tough action to “share the pain,” a leading think tank has warned. The Grattan Institute’s assessment comes as Treasurer Wayne Swan confirms the budget had taken a $7.5 billion hit since the mid-year update in October. “We have seen a really unique event in our economic life,” Mr Swan told the ABC from Washington where he has been attending international meetings. The Grattan Institute says while notionally on track to surplus at the moment, the combined total of state and Commonwealth budget deficits should reach 4 per cent of gross domestic product by 2023, which is around $60 billion in today’s dollars and would be around $100 billion in ten year’s time. “Initiatives such as national disability insurance scheme, the education reforms, direct action on climate change and parental leave are only a small part of it,” Grattan Institute chief executive John Daley said. It says company tax revenue, mining and carbon tax revenue and general tax takings will slide as a proportion of the economy as the price of exports slips. “Eliminating government waste won’t help much either. Axing the Commonwealth departments of education and health might save the wages of $5000 public servants, but that’s only around half a billion. The Institute says the gap can only be closed by higher taxes, meaning the days of “painless” budget fixes are over. “The places to look are company tax and company tax concessions, income tax and goods and services tax. The old idea that you can introduce a change with no losers (at least none earning less $100,000) won’t work. A spokesman for Mr Swan rejected the suggestion the Treasurer would not take hard decisions saying its new spending on schools was funded by cutbacks in other areas. Mr Swan told the ABC he was not going to make up for a shortfall in May’s budget by “savage cuts”. “That would not support jobs and growth and it would lead to higher unemployment,” he said. The Coalition has abandoned its plan to quickly return the budget to surplus, citing deteriorating government finances. “It is important to be prudent,” Mr Hockey told a forum organised by The Australian Financial Review on Thursday. His remarks are a departure from a commitment he made on the ABC’s AM program in January. Opposition leader Tony Abbott backed him up saying that afternoon: “Based on the published figures we believe we can deliver surpluses in each year of the first term of a Coalition government”. This week’s collapse in the European carbon price has made the official forecasts for Australian carbon tax revenue look untenable after Australia moves to a price linked to Europe’s in 2015. Mining tax revenue is also a fraction of the official forecast. However it is not clear how much the weaker revenue from those two taxes would hurt the Coalition’s plans as it had been planning to abolish them. Mr Hockey’s increased caution puts him in apparent agreement with the Treasurer Wayne Swan who signalled a slower return to surplus Thursday saying on arriving for meetings in Washington that “to cut to the bone” would “drive our economy into the ground and send unemployment skywards”. “This approach will never be acceptable to this government,” he said. Rudd backer Kim Carr - a casualty of Labor’s leadership turmoil - will use a speech in Melbourne Thursday to attack “bureaucratic blockers” in the public service and his own party’s commitment to open government. Until March the minister for human services responsible for Centrelink, Medicare and the pharmaceutical benefits scheme, Senator Carr will say most governments start off believing in open government, but that “the will tends to ossify”. Senator Carr broke new ground by throwing open previously closed departmental records to researchers examining questions such as the link between prescription drugs and birth defects and the health impacts of low incomes. Invited to open Thursday’s health informatics conference when he was minister, he agreed to open the conference as backbencher after the invitation was re-issued. “Who isn’t in favour of accountability? Who isn’t a fan of evidence-based policy?” his speaking notes say. The department processes 200 million payments per year. It holds 7 million gigabits of data. “President Obama has recently announced a great new project to map the human mind. We have here the great map of Australian society: life as it is lived,” Senator Carr will say. What’s killing Holden is what killed the Top 40. As a child growing up in the 1970s I scarcely missed an edition of American Top 40. It mattered to me because it was the Top 40. Record buyers and radio stations shared common music tastes. But towards the end of the 1970s it began to splinter. Some US stations didn’t play disco. They edited out the disco records before putting the program to air. Others played only country music, others only ‘black’, and others only white, including the new video hits channel MTV which famously didn’t play a black video until Michael Jackson broke through with one so good it could not be ignored. Three decades on it is happening to news. Readers are increasingly choosing their own sorts of news, via a twitter stream or (in some cases) a newspaper that tells them the sort of things they want to hear. “I can guarantee you one thing,” said music critic Lester Bangs. “We will never again agree on anything as we agreed on Elvis.”. There’s no longer a generally-agreed Top 40. There’s the adult contemporary chart, the soul chart, and so on. There’s more music, but different types of it are created for different types of people. Which brings us to Holden. When Elvis died Holden had close to 40 per cent of Australia’s market. We really did love “Football, Meat Pies, Kangaroos and Holden cars”. Four out of every five cars sold in Australia were made in Australia. And they looked pretty much identical. Partly it is because we had little choice. The tariff (tax) added to the price of each imported car was 57.5 per cent. And partly it’s because most of us probably did want the same thing - a big car. Holden gave birth to the Commodore as Elvis died. It is still with us, and it is still big. It’s competitor the Ford Falcon is big. But our tastes have fractured. More of us have wanted small cars, more green cars, and more and more four wheel drives (now known as SUVs). But with only rare exceptions the Australian manufacturers have acted as if we didn’t. Like the makers of American Top 40 continuing to pretend there were still universal musical tastes through the 1980s each of Australia’s big four kept acting as if the key to survival was making a better version of the same big thing. Economic theory shows us that’s what protected firms do. Ever wondered why Qantas and Virgin flights leave at roughly the same times? It’d be more useful if they left at different times, but without outside competition they won’t. A century ago a United States economist named Harold Hotelling explained why using Hotelling’s Law. Imagine a kilometre long beach served by just two ice cream carts. Each sunbather wants a cart nearby. The best solution would be to put the carts where no sunbaker has to walk more than 250 meters, by placing one cart one quarter the way along and the other three quarters along. But if that happened each cart would be tempted to move closer to the middle to grab some of the other’s business. Eventually the two would be next to each other. Our big car makers kept specialising in big cars because they believed they could focus inwards, each trying to grab the other’s market share. They might have gotten away with it (amid grumbles from consumers) except that the wall protecting them crumbled. On January 1 2010 last bricks were kicked away. The 10 per cent tariff was cut to 5 per cent. Offsets mean the effective rate is 3.5 per cent. At the same time the dollar did what it had never done in the era of floating exchange rates. It climbed above $US1 and stayed there. In the quarter of a century to January 2010 the Aussie had averaged 72 US cents. It’s now 105 US cents. That makes foreign cars 45 per cent cheaper to import, and there’s no tariff wall to keep them out. Free to buy what we want to we are shelling out for different cars like never before. Every third new car sold is an SUV. Every fifth car sold is small. Only every tenth new car sold in made in Australia. Every 25th new car sold is an Australian-made Holden. Holden let go of 500 workers this week. It’s one size fits all business model has gone and it is not coming back. Why are interest rates still more likely to head down than up? Because it’s the Reserve Bank’s Plan B.
What’s its Plan A? Hoping something turns up. Seriously. As it happens, the man at the top of the Bank is a man of faith. A parishioner at his local Baptist church, Glenn Stevens believes he works for the bloke upstairs. "I definitely think if you are a Christian, God has given you certain capabilities to do a job, to earn a living and the Bible teaches that you should do that as if you were doing it for him,” he told an Easter breakfast a few years back. But faith doesn’t always get you what you want. If it did, it wouldn’t be faith. That’s why Stevens is hanging on to Plan B and preparing to use it. His problem is that the resources construction boom is about to peak. When Chris Richardson of Deloitte Access had the temerity to suggest this a year ago in the midst of mining euphoria (and very bullish budget forecasts) he was rubbished. But then the resources minister started saying the same thing. Months later BHP postponed indefinitely the $30 billion mega Olympic Dam uranium and coal project, Fortescue scaled backed an iron ore investment program already underway, and on Friday this week Woodside Petroleum shelved its massive $40 billion Browse liquefied natural gas project. What’s left is almost unimaginably big. The Bureau of Resources and Energy Economics says projects worth $268 billion are already locked in. An astounding $195 billion are gas or petroleum projects. “To put this in perspective, and to show the scale of the pipeline in Australia, the total committed expenditure on Australia’s oil and gas projects is comparable to the total cost of the Apollo Moon Program in 2012 prices,” it says in its latest update. But new projects aren’t getting ticks. This means that, as big as it is, Australia’s resources construction boom will soon turn down. It’ll mean an economic slump, something the Reserve Bank is charged with avoiding. “The peak in resources investment is now close,” was how Reserve Bank assistant governor Christopher Kent put his official assessment in an address to the Bloomberg Economic Summit this week. His point is that when mine construction turns down it would be nice if dollar turned down so that manufacturers and others found it worthwhile to expand and take on the displaced workers. It would be nice too if the government expanded construction (as it did during the global financial crisis). But the dollar isn’t turning down. International currency wars and the extraordinary popularity of Australia as a place for financial investment kept it high even when resources prices turned down late last year. It is staying high now that resource prices have turned back up. So it helps to have faith that something will come along - anything - to pick up the slack. “This provides scope for other sources of demand to pick up,” was how Kent put it in his speech Wednesday. What are the grounds for faith? Planned non mining business investment is, “sort of subdued is how I would characterise it this financial year; but then gradually picks up next financial year”. Housing investment “picked up over the second half of 2012, with further moderate growth expected” in response to lower interest rates. This should in time, provide “a measure of support to employment and activity in the non-mining business sector” he says, using words chosen to indicate that while it’ll be something it may not be enough. In time higher consumer spending should boost business investment. But not straight away. “Firms can respond to a pickup in demand first by making use of spare capacity they may have,” Kent says. Non-mining businesses certainly have the means to expand. For most the cost of borrowing is low. And while the high dollar makes it hard for them to compete with suppliers overseas, it makes it easy for them to import. But if you walked away from Kent’s speech thinking the non mining economy is certain to pick up the slack when the resource investment boom peaks you were alone. That’s why Kent and Stevens need faith, and Plan B. The government’s budget woes continue to deepen in February as revenue fell $7 billion behind the official forecast for this time of year. The previous figures for January showed revenue tracking $6 billion behind the official forecast. The government forecast $373.7 billion of revenue this financial year. Eight months in it has collected $202.4 billion. It had expected $208.5 billion. “Contrary to the rhetoric from the Liberals, government spending has been restrained and is in line with our estimates,” the spokeswoman said. The figures point to an underlying cash deficit of $23.6 billion in the eight months to January rather than the expected $17.9 billion. The October budget update forecast a surplus of $1 billion followed by surpluses in future years of $2 billion, $3 billion and $6 billion. Both sides of politics have dropped earlier commitments to return the budget to surplus by 2012-13 or 2013-14. The Coalition has saved Labor’s bacon. Had it wanted, it could have shut down or sold NBN Co after the election, crystallising a loss on the billions spent so far. The loss would have moved the billions on to the main part of the budget. It would have weighed down Wayne Swan’s deficit and been tagged as “Conroy’s Folly” or “Labor’s Broadband Black hole”. While Wayne Swan has been cutting spending everywhere the eye can see to bring the budget closer to surplus, he hasn’t been cutting it on the NBN because it couldn’t be seen. His predecessor Peter Costello takes the credit. Annoyed at the budget fiddles of the Hawke and Keating governments that counted as regular income money made from selling parts of Qantas and the Commonwealth Bank, he started calculating a so-called “underlying budget balance” that didn’t include income from from selling financial assets. A variant of it has become the measure of surplus or deficit most widely quoted. It also excludes from the underlying calculation the money spent acquiring financial assets. Labor has been able to claim that that’s what it’s doing when it spends on the NBN - acquiring a financial asset. But it is only able to keep claiming that if NBN Co looks like a financial asset. Always line-ball, its financial projections were pushed right to the edge by the Competition and Consumer Commission last week which made it agree to limit the price increases of its regular products to the consumer price index minus 1.5 per cent, all the way out to 2040. It is to keep reviewing the pricing structure to make sure the cap isn’t being evaded. "If they invest efficiently, if demand broadly goes up as they expect, they will make their commercial rate of return," Commission chairman Rod Sims said. 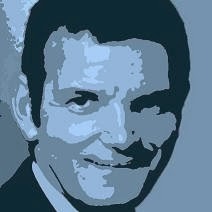 "If circumstances turn out otherwise, the price caps might bite, and they will not." As should have been expected during a mining construction boom, NBN Co has been finding it hard to get the workers it needs to run new lines into almost every house in the country. It’s been looking less and less like a financial asset as each month passes. The Coalition’s plan removes the need. It’s thrown it a lifeline.
. 2011. NBNCo - don't say you weren't warned. The Association of Superannuation Funds has swung in behind the Gillard government over its changes to super, labelling as “fiction” claims they might hit accounts with modest balances. Australians receiving income from accounts earning than $100,000 per year will from mid 2014 year face a tax on the excess earnings of 15 per cent, instead of zero as at present. The Treasury says only around 16,000 Australians will be affected. Investment advisors say many more will be hit in unusually good years. The Treasury calculation is based on a fund return of 5 per cent per year. In the past year the best-performing balanced funds have returned between 11 and 15 per cent. But Association chief executive Pauline Vamos says this won’t mean many more people will be drawn into the net. “These claims are misleading,” she said. “Fund members should not confuse the amount of investment earnings credited to their account with the amount reported to the Tax Office”. Earnings from capital gains made selling property or shares that are already in funds will be exempt from tax for the next ten years. Other earnings from dividends, rents and interest payments are typically at or below 5 per cent. Even an Australian with an account balance of $1 million and a reported return of 15 per cent would be unlikely to suffer. “We need to sort fact from fiction. Confidence can be adversely affected by speculation that is not consistent with the facts,” she said. Leading actuary Michael Rice said the measures announced by the government would be difficult but not impossible to administer. “For people such as politicians in defined benefit schemes, the funds will need to create nominal accounts and calculate notional earnings,” he said. Much more difficult was the promise made in the last budget to include politicians in the scheme that taxed the super contributions of high earners at 30 rather than 15 per cent. So difficult was that to legislate that one year on no legislation had been produced.
. Treasury versus Knox. Who has it right? Labor has gone on the offensive over superannuation accusing Tony Abbott of a tax slug that will rip $4 billion from national savings. 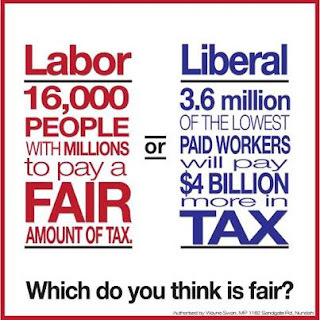 A Facebook campaign started Sunday says under Labor a mere 16,000 people “with millions” will pay a fair amount of tax. By contrast under the Coalition 3.6 million “of the lowest paid” will pay more. Opposition leader Tony Abbott confirmed on Sunday that the Coalition would abolish Labor’s Low Income Super Contribution which cuts tax to zero on 3.6 million super accounts. “We have said from the very beginning programs funded by the mining tax wouldn't go ahead because we're going to scrap the mining tax,” he said. If re-elected Labor would have had to abolish the program itself. “The mining tax which funds it hasn't raised any revenues. No-one should think this programme is safe,” he said. Acting prime minister Wayne Swan released figures showing 910,000 of the low earners the Coalition would hit lived in Victoria. Two thirds were women. “Tony Abbott has spent the last two weeks fuelling rumours about the government’s superannuation reforms to keep his $4 billion raid as secret as he can,” Mr Swan said. “We have long been on the record as wanting to re-visit both concessional contribution caps and super co-contribution benefits for low income earners,” he said. This would happen “as soon as the budget is in a strong enough position to afford it”. The former head of the government’s super review Jeremy Cooper, now head of retirement incomes at Challenger, backed Labor’s decision to boost from zero to 15 per cent the tax rate on earnings supporting income streams of more than $100,000. “On Treasury’s numbers it will only affect 16,000 Australians. It is hard to have too much sympathy for such an elite group,” he said. Asked twice on Sky News whether she had wanted to go further, finance minister Penny Wong deflected the question saying she was “certainly never going to be one of the people that discuss what might or might not have been said in cabinet”. You messed it up - you fix it. Labor's new ''reforms'' to superannuation are a cop-out that handballs the mess created by the last Coalition government on to the next Coalition government to resolve. The changes proposed by Treasurer Wayne Swan and Superannuation Minister Bill Shorten are small and sensible. But they are only proposals, which Labor plans not to make law before the election. And after the election, it won't be Labor's problem. It will be Tony Abbott's problem, and a big one. Treasury estimates that in 2009-10, tax breaks on superannuation fund earnings cost revenue (that is, other taxpayers) $9.5 billion. This year, it estimates, they will cost $17.1 billion. In three years' time, they will cost $25.1 billion. Total superannuation tax breaks have grown from $26 billion, then to $34 billion now, and are put at $47 billion a year by 2015-16. You can blame the Howard government, which removed the reasonable benefit limits, and made payouts tax free. Faced with another Coalition scare campaign, Swan and Shorten threw in the towel on big changes, and settled for three small nibbles, which will cut the tax breaks by less than 1 per cent. There is no raid on superannuation savings. Despite Abbott's claims, there is no new tax on superannuation payouts. These reforms tackle taxes on future earnings of superannuation funds, and close a loophole in the means test for pensions. The biggest nibble would cap the loophole by which retirees on income streams are not taxed on their funds' earnings. Earnings above $100,000 a year would be taxed at 15 per cent, as other super fund earnings already are from the first $1. It will affect fewer than 20,000 people. The second nibble would have a wider cost: Labor will scrap its plan to allow people with less than $500,000 in their account to put in $50,000 a year at the concessional 15 per cent tax rate, instead of the $25,000 cap now applying. The third nibble would close the loophole by which people with large super savings can still qualify for the pension. The pension income test would be changed so we are deemed to have earned the same income from super savings as we already are from savings held in bank deposits or stocks. You can't seriously argue with any of these changes - except that they don't tackle the problem. They raise millions when the tax breaks cost billions. The response from the industry was relief, particularly as it won a couple of gains. Those over 60 would have the cap on their superannuation contributions lifted from $25,000 a year to $35,000. The Tax Office will start paying interest on the ''lost'' superannuation accounts it minds for missing owners. Is it really Liberal policy to give away $47 billion a year in superannuation tax breaks, of which just 23 per cent goes to the 60 per cent of Australians in the bottom and middle, while 26 per cent goes to the richest 5 per cent? The peak body representing super funds has offered the Treasurer an olive branch saying it would be prepared to consider reduced or zero tax concessions on super accounts with very high balances. “The aim of the retirement income system is to have enough, it is not being able to amass millions and millions of dollars in a tax-free environment,” Association of Superannuation Funds chief executive Pauline Vamos said Thursday. “Any good retirement system must have a ceiling. We are talking about tax concessions funded by the Australian community. Ms Vamos said her Association and the government were not far from an agreement. The Association’s key concern was that the earnings of super accounts not be taxed at different rates depending on the owner’s income, something that would be difficult to administer. Instead the earnings could be taxed at a higher rate when the size of each account passed a certain benchmark. Ms Vamos nominated $2.5 million as a benchmark, saying such an account would replace 60 per cent of the income of someone on $180,000 - providing them with $100,000 per year if they lived into their nineties. “That ought to be enough for a comfortable retirement,” she said. The body representing industry super funds will take a different tack Friday issuing a position paper on behalf of its 16 fund members calling for a moratorium on changes until after the election when the new government should set up an independent review. “We recognise there is a legitimate debate about the sustainability of the system,” said Industry Super Network chief executive David Whiteley. John Brogden, chief executive of the Financial Services Council said he wasn’t too fussed about there was a formal inquiry, but a regime had to be put in place that would last five years. One idea would be to tie regular inquiries to the Treasury’s Intergenerational Report. “After they produce that every five years we could reexamine superannuation, leaving things unchanged in between,” he said. All three industry bodies called on the Coalition not to touch the Low Income Superannuation Contribution introduced by Labor this financial year. Coalition leader Tony Abbott again said he would abolish it claiming the government itself could not afford it because it was to have been funded by the underperforming mining tax. The Gillard government is under pressure to reveal its plans for superannuation within weeks after three of the crossbenchers it needs to get the changes through parliament said they will treat them more favourably if they are unveiled ahead of the May budget. Greens deputy leader Adam Bandt said Labor needed to “learn the lesson of its media reform debacle” and make the details clear “sooner rather than later”. North Queensland MP Bob Katter said a quick explanation would help correct the ‘‘distinct impression’’ the government did not know where it was going. Treasurer Wayne Swan hinted at an early announcement Wednesday saying although the changes were not yet finalised, as soon as they were “we will make our announcements”. Prime Minister Gillard will be overseas until mid next week making the most likely time for an early announcement the following week. The changes would “not be making a significant contribution” to the budget in this or next few years Mr Swan said, but would help rein in the ballooning cost of superannuation tax concessions over the longer term. 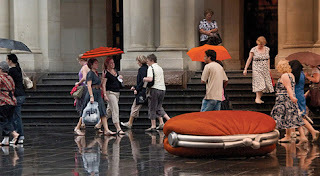 By its very nature, superannuation demands a long-term perspective,” she will say. “To those who say we are out of step with previous Labor governments, I would say look at the facts. The Hawke and Keating governments reformed our social security system, making it more targeted and making space for higher priorities. Government’s budgets are finite, and always will be. Participants at a Melbourne superannuation roundtable hosted by financial services minister Bill Shorten were told the government wants to focus support on those people most at risk of falling out of superannuation system. While there was broad agreement about the goal, there was disagreement about whether it could best be achieved by radical change or or by a period of stability which would build confidence. Mr Shorten said people earning up to four times the average weekly wage had nothing to fear. ‘‘My very clear message to people in Australia who are working hard now, to people who are seeking to retire on adequate incomes, comfortable incomes, the vast bulk of people who are on average wages, one, two, three, four times average weekly wages - you are our priority,’’ he said. Mr Katter said he would view changes as retrospective if they touched earnings by funds. ‘‘I just abhor retrospectivity,’’ he said. Although he had no sympathy for CEOs on ‘‘obscene’’ salary levels, Mr Katter would be worried about entrepreneurial owner-operators being caught up in superannuation tax changes affecting people earning $300,000. Superannuation is designed backwards. It gives the biggest subsidies to those who need them the least. For Australians on truly enormous incomes they are obscene. The notion that the super-rich wouldn’t save for their old age left alone is laughable. The idea that without government support they would fall back on the pension and be a “drain on the public purse” is not only wrong but, in the context of what’s handed to them, almost sick. Think about an executive on $1 million per year (not quite one of Joel Fitzgibbon’s ‘battlers’ but someone several rungs above). The firm pays a legislated minimum of $16,470 per year into a super fund of his or her choice, perhaps a self-managed one. Instead of being taxed at his or her marginal rate (45 per cent plus the 1.5 per cent Medicare levy) the payment has until now been taxed at just 15 per cent. So instead of paying $7658 the executive pays just $2470. The gift from the tax system is $5188. In the last budget the government promised to boost the tax rate for very high earners to 30 per cent, cutting the size of the gift to a still substantial $2718. That it took Labor so long to at least recognise the need to more properly tax millionaires is an outrage. That didn’t go further is a disgrace. Here's a tip, from someone who can only begin to imagine the spending and saving habits of millionaires: They don't need incentive payments in order to save, they'll do it anyway. But if you're harbouring doubts, remember that millionaires are compelled to save. As for all of us, super contributions are compulsory. The government is handing millionaires a gift of $2718 a year in return for something they'll do anyway. A middle earner on the average male wage gets $1293. Low earners get nothing, even after the new Low Income Super Contribution that the Coalition has implausibly threatened to revoke re-imposing a tax penalty for low-income contributions. Imagine the outcry if instead of tax dollars the government was openly paying cash into the accounts of high earners (to help them with their savings). Imagine if the government suggested paying more into the accounts of high earners than low earners. Wayne Swan actually came up with such an idea shortly before becoming Treasurer. Perhaps in thrall to to the giants of the union movement - to Kelty, Crean and Ferguson, the greats who helped design Australia’s superannuation system - he developed a scheme that would tax first home savings accounts the same way. Savers would be taxed at “15 per cent on the first $5000 of income they deposit in their account each year rather than the ordinary tax rate they would pay”. On taking office Treasury told him it would be easier to simply put cash into each savings account. If he wanted to mimic super he could put the most into the accounts of the Australians on the highest tax rates. Incredibly Swan and housing minister Tanya Plibersek put the idea out for public discussion. The public response - still on the Treasury’s homesaver website - is humiliating. David Ng was “shocked and utterly disillusioned to find the government contribution is twice as much for those paying the highest rate of income tax (i.e. with the most income) as for those with the lowest”. Swan backed down, clued up about the wanton unfairness at the heart of the super system promoted by a generation of Labor elders. Knowing that this budget will be his last, Swan will attempt to fix Labor’s greatest creation next month. If he doesn’t, it might collapse under its own weight. The cost of the concessions is set to climb 9 per cent next year, then 14 per cent, then 13 per cent. It’s why the Coalition will back him (at least to the extent of not removing the measures he puts in place). No government can afford such a massive and growing leakage of funds to Australia’s highest earners. The Henry Tax Review wanted Swan to limit the tax gift to super contributions of $25,000. 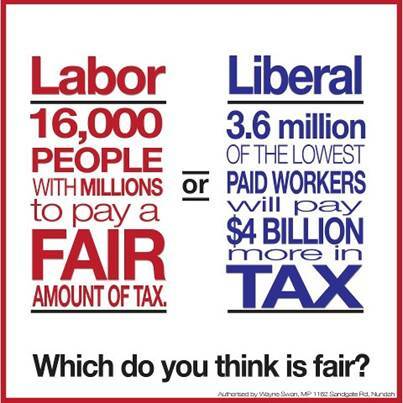 High earners would pay full tax on the rest. Swan might move closer to that by taxing at 30 per cent the contributions of all Australians on the top marginal rate. The rate cuts in at $180,000. And he’ll need to attack the the flat 15 per cent tax on super fund earnings. So generous is it to high earners that they make extra contributions right up to the concessional maximum and then beyond to get it. The funds say they can’t easily charge one rate of tax on the earnings of millionaires and another on the earnings of others. But already they manage to charge one rate on the earnings of retirees (zero) and another on the earnings of everyone else. They could probably find a way.